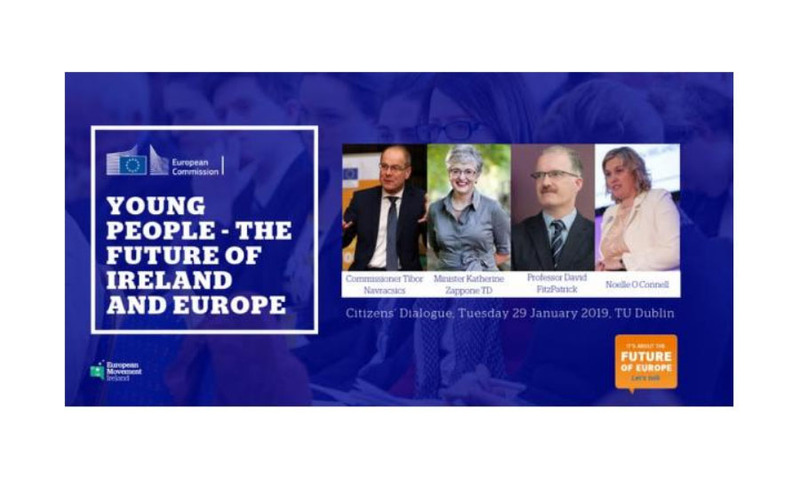 EU Commissioner for Education, Culture, Youth and Sport, Tibor Navracsics took part in a Citizens’ Dialogue at TU Dublin last week. The meeting was attended by groups and individuals interested in the theme of ‘Young People – the Future of Ireland and Europe’. Adrian Smyth, DFEi Erasmus coordinator, asked the Commissioner about his expectations for the continuation of the Erasmus programme and its budget after its current term ends in 2020. In reply the Commissioner said there is a draft proposal at the moment to double the budget for the programme from 2021, adding that he wanted Erasmus to be more accessible to social inclusion, and that he would like to see the programme as more intergenerational. He said he would also like to launch more programmes in youth and sport.